Big Finish: Doctor Who - EAT MY SHORTS 1 | Warped Factor - Words in the Key of Geek. Who likes short shorts, says Tony Fyler. 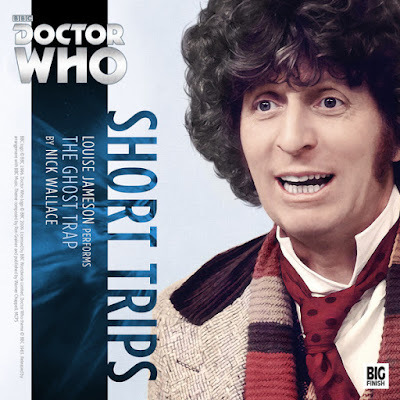 Big Finish has been putting together collections of ‘short trips’ – short Who stories, essentially – for some time now, but recently they’ve been releasing half-hour single story trips, usually with only the single voice of the narrator. Tony Fyler considers the first four shorts in the run. Flywheel Revolution, the First Doctor short trip by Dale Smith, is a peculiar thing and no mistake. It’s narrated by Peter Purves, who of course we’re used to seeing and hearing as companion Steven Taylor, and it’s narrated in the first person, so it takes us a little while to understand that this is not intended to be Steven’s story. Rather, it’s the story of a robot in a giant mechanical junkyard, a robot akin to Pixar’s Wall-E, in a world of other scrapped robotics. The Doctor is regarded as ‘The Beast’ for a chunk of the story, and there’s a charming dedication to point of view that allows our robotic narrator to learn the truth only by repetition and re-iteration – the idea of the Doctor taking off his coat is horrifying, as The Beast slips easily out of its skin for instance. But while the tone starts off wrong-footing the listener, Smith is to be commended on the growth through which he takes the character, learning to trust the thing he fears the most to effect the Flywheel Revolution of the title, and ultimately gain the gift of freedom from the junkyard to which he’s been consigned for a physical flaw. It’s an interesting story, because if the mechanicals were humanoid, the logic would be monstrous – those judged to be ‘faulty’ walled in and separated from the rest of society, a junkheap of the disabled – and the fact that the Doctor grows to see it that way, and to help restore the balance, grows our affection for the crotchety Doctor separated from his usual friends. Little Doctors, by Philip Lawrence and read by Frazer Hines once again pulling out his flawless Patrick Troughton impression, is a creepier affair, but it’s far more mainstream and redolent of the kind of adventures the Second Doctor more regularly had. Just as well, given that he’s travelling with two companions here, Jamie and Zoe, as he encounters a computer-controlled society of pleasant blandness, and by setting ‘the Little Doctors’ free to create mayhem with the systems of the world, introduces flavor, colour and joy to the previously sterile world. 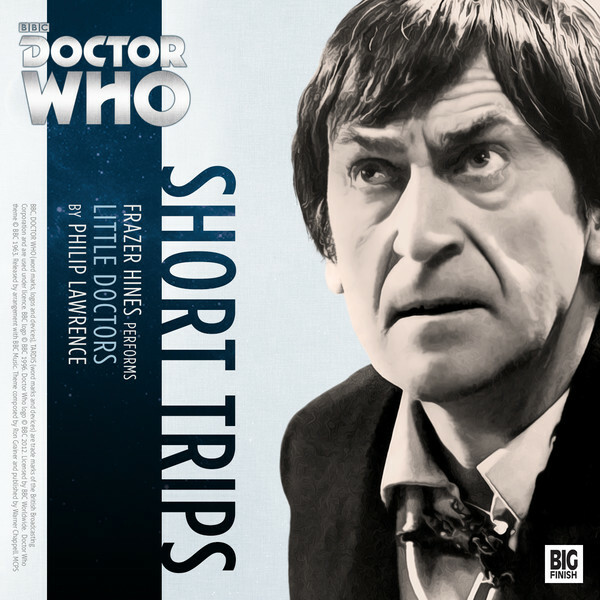 It’s rather more standard fare but that doesn’t actually mean it’s an easier listen – in fact, it’s quite heavy going, and the idea of little homunculi in the shape and with the nature of the meddlesome Second Doctor running about the world is potentially very creepy. The solution is a little convenient, success seemingly pulled from the jaws of potential disaster, and it lets us remember that when talking about a ‘dangerous’ Doctor, people frequently – and erroneously – forget what a dark character the Second Doctor sometimes was. Time Tunnel, the Third Doctor offering from Nigel Fairs and narrated by Katy Manning, who has proven herself to be no slouch in the Doctor-impression game, has all the hallmarks of the era – mysterious geology, something that sounds simple but is actually mad, an investigation by the Doctor, leading to his attempt to broker a peace that may or may not be ultimately doomed by the Brig and his trigger-happy UNIT boys. As with The Little Doctors, evocation of the period is strong here, but evocation of character is stronger in this story, making for a tighter, more genuinely tense tale that could only be more Jon Pertwee if the man himself were still alive to voice it. Most of the adventures here have a sense of inherent smallness to them – they earn and embody the idea of short trips by being fairly linear in their nature and storytelling structure – and that’s probably never truer than in Time Tunnel, which goes straight from A-B through all the points of Jon Pertwee adventuring. Ghost Trap by Nick Wallace sees the Fourth Doctor and Leela investigating a tragedy onboard a spaceship, and it’s perhaps the short trip in this series that could have most easily earned itself a four-part existence. It would need more characters than it has here, but the scope of the adventure – the massacre of a ship full of hyperspace-capable creatures – allows both the Doctor and Leela to exercise their unique skills: Leela hunting ‘ghosts’ through dark ship corridors, plagued my spooky voices and dreams, the Doctor doing clever things on the bridge and venting his fury at those who would kill sentient creatures for what turns out to be little less than curiosity. While this is a solid, sombre story with plenty of Fang Rock gloom about it, it suffers just a little from the same curse every Tom Baker companion chronicle had – Tom Baker’s voice is a unique resource. While Jon Culshaw ‘does’ a great Tom Baker, he’s seldom employed to do so (Ark In Space – just sayin’), and while Louise Jameson is by no means the worst of Tom’s companion-actors to try and render him (perhaps perversely, or perhaps not, that would be his ex-wife Lalla Ward), and she gets close to hitting the tone of his rage here, every time it’s not Tom Baker on the mike, it most specifically sounds like not-Tom Baker on the mike. Still, Ghost Trap is good and creepy, with a mournful, funereal tone and the sense of the Doctor and Leela on a mission of mercy to the dead, a scenario which allows Wallace to nail his Doctor to the mast for everyone to see. 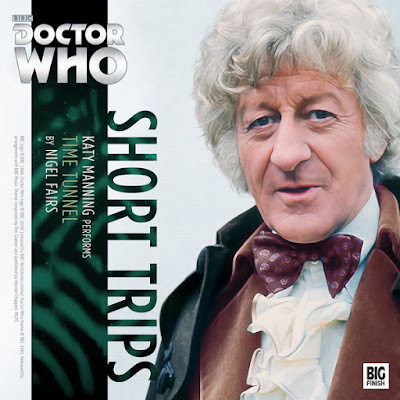 Four half-hours in, the Short Trips individual story range has been innovative, combining situations that nail the period of their respective Doctors with stories that bring new, and sometimes challenging dimensions. Give them a try if you haven’t yet – you’ll likely find some new shade to each of the Doctors, something new among the familiar, delivered in a cheap (£2.99) half-hour bite.